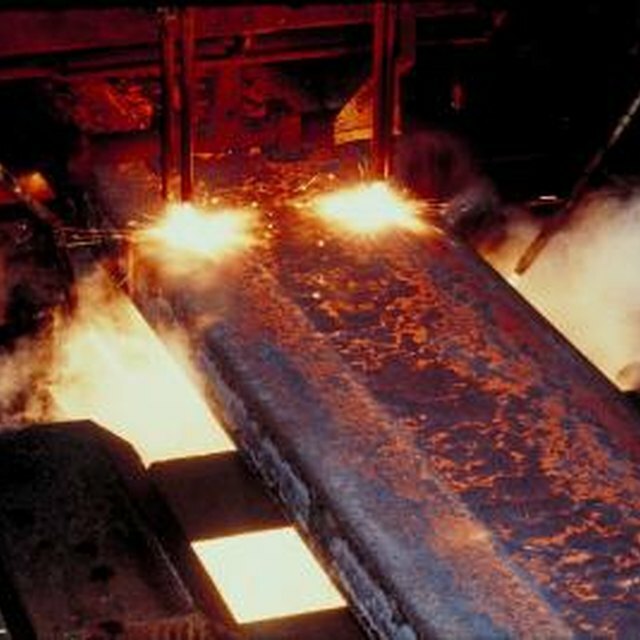 Oxidation occurs on steel as a result of the steel interacting with oxygen. It can cause pitting and a general dulling and discoloration of the finish. The oxidation not only makes the steel visually unappealing but if left unchecked, it can compromise the integrity of the steel. Oxidized steel is cleaned by using the right materials and implementing a straight-forward procedure. The desired result is accomplished with a moderate amount of time and effort. Oxidation occurs when metal interacts with oxygen. Fill a bucket with warm water and add two to three squirts of dish soap. Scrub the surface of the steel with the soapy water and a scrub brush. Remove as much surface dirt and other debris as you can. Rinse the surface with clean water and dry it with a shop rag. Clean the surface of the steel with an all-purpose metal cleaner. Follow the instructions on the cleaner for its application. Sand the surface of the steel with a fine-grit sandpaper to remove any pitting. Lightly move the sandpaper over the surface and avoid gouging it. Rub the surface with steel wool to remove any marks left by the sanding process. Apply a metal polish with a soft cloth to give the steel a finish that will protect it as well as make it look good.